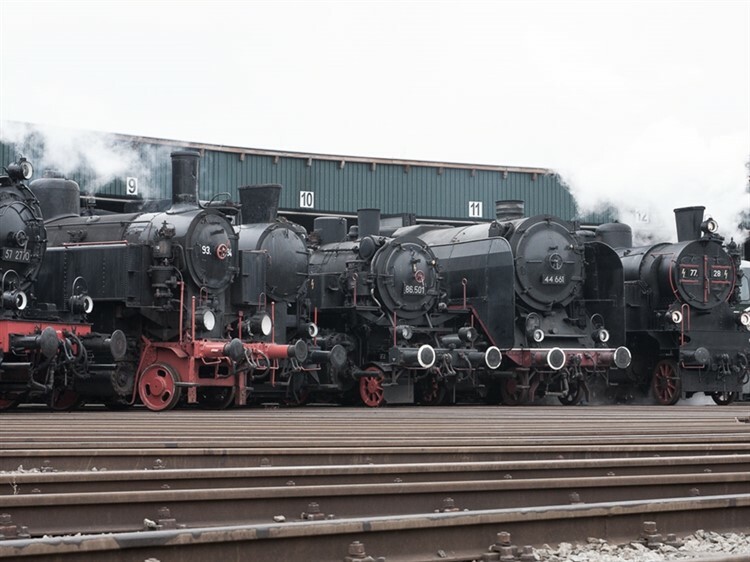 This October the Austrian Railway Society at Ampflwang opens its doors with a steam festival. 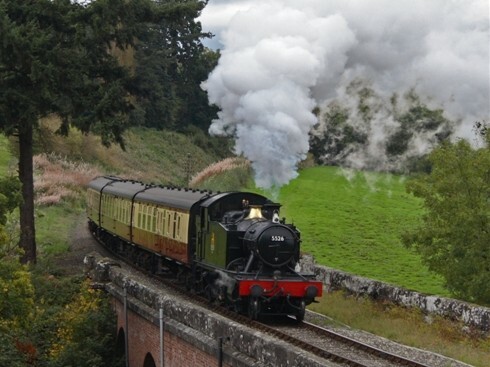 A week later sees a rare steam excursion on the Mariazellerbahn Railway. 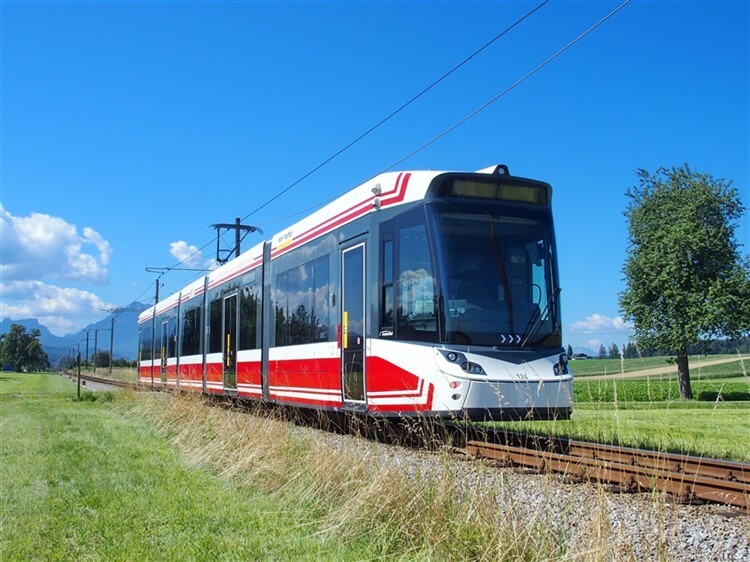 In between we feature more steam on the Achenseebahn and Zillertalbahn, Innsbruck's Nordkettenbahn, the Gmunden Tramway, the Traunseebahn, boat trips on idyllic Austrian lakes, a brewery and a schnapps tasting! 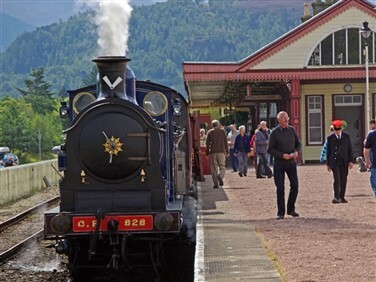 After its outstanding success in 2018 we again offer you this superb tour. 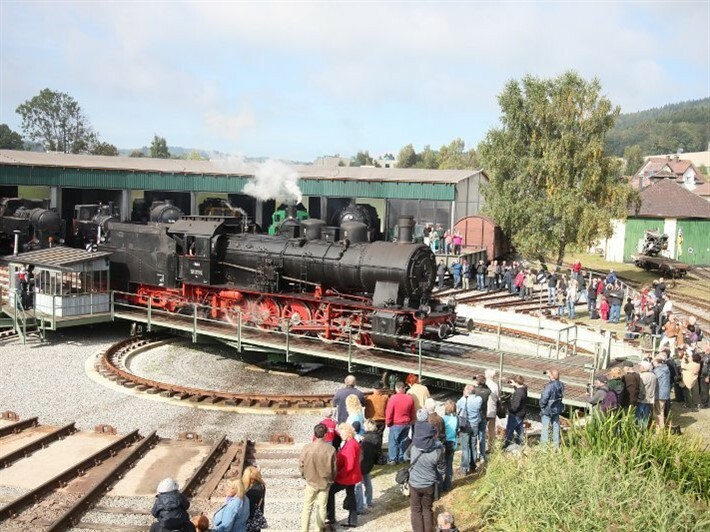 This October the Lokpark heritage railway collection at Ampflwang opens its doors with a steam festival. 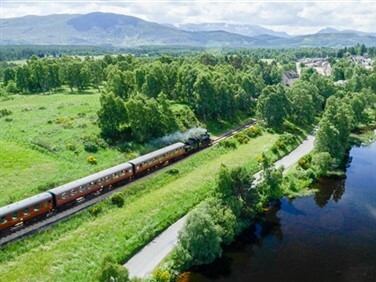 A week later sees a rare steam excursion on the Mariazellerbahn Railway. 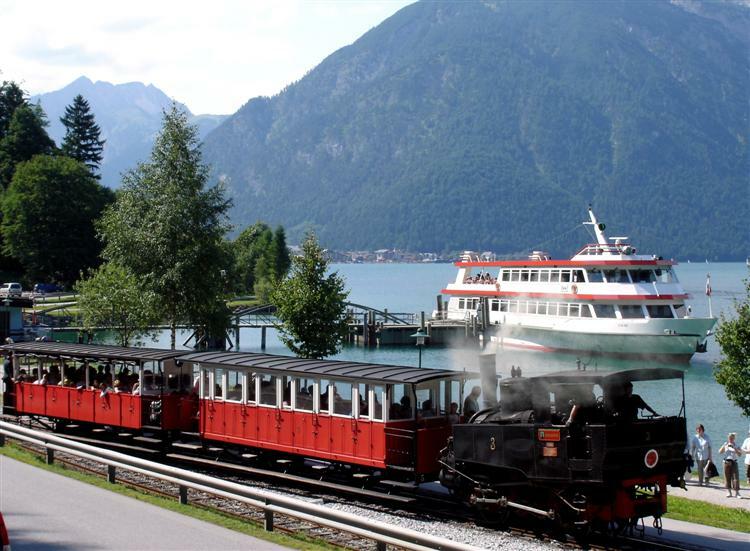 In between we feature more steam on the Achenseebahn and Zillertalbahn, Innsbrucks Nordkettenbahn, the Gmunden Tramway, the Traunseebahn, boat trips on idyllic Austrian lakes, a brewery and a schnapps tasting. If you fancy a Golden October in Austria, please book early as this is a limited edition tour with only 16 rooms at our small, family-run hotel in Timelkam. We depart London St Pancras by Eurostar to Brussels. We continue through Germany by high-speed train to Nuremberg for a night at the InterCity Hotel. After a morning visit to the German National Railway Museum on day 2, we continue into Austria and Timelkam, where we stay for three nights at the Hotel Sonnenhof. Tonight we have arranged a night photo shoot at Ampflwang Lokpark. 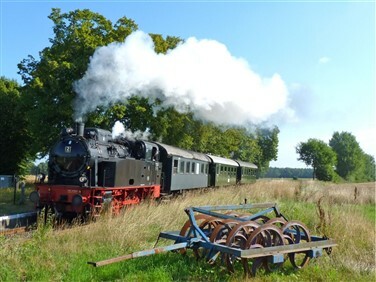 Today is spent at Ampflwang Lokpark's Steam Gala. 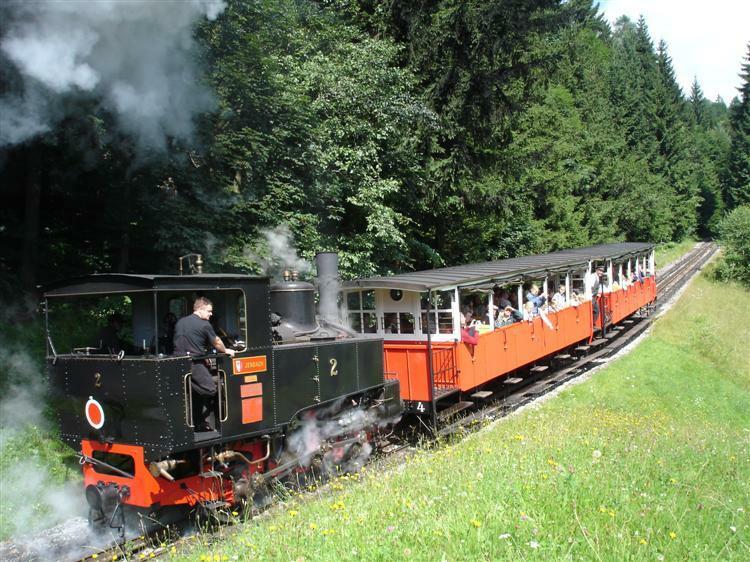 The Lokpark is the base of the Austrian Society for Railway History and its collection, having taken over the standard gauge freight line between Ampflwang and Timelkam following the closure of the local mine. 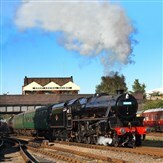 Expect at least three locos in steam, with visiting engines, the possibility of footplate rides and lots of photo opportunities in the roundhouse. A mixture of new and nostalgic today as we head first to Gmunden. 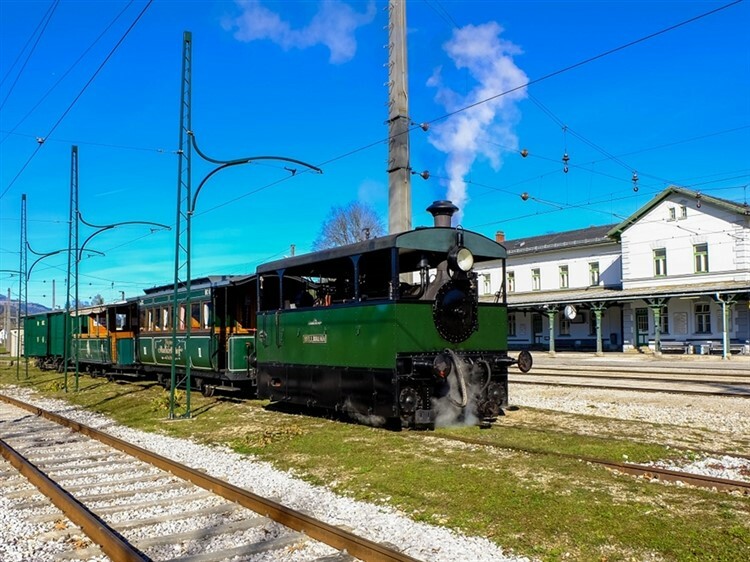 Here we descend from Gmunden station on the brand new 'Traunseetram', which has replaced the town's heritage vehicles on Austria's oldest tramway and one of Europe's steepest. Alighting on the shores of Lake Traunsee, we enjoy an hour's cruising on the lake's gentle waters before rejoining the 'Traunseetram' along its newly opened link to the 'Traunseebahn' line. Hopping off first for lunch at a local Gasthaus, then again at Schloss Eggenberg Brewery for a tasting, we end the day on one of the route's surviving heritage electric vehicles on the Vorchdorferbahn, before returning to Timelkam. On day 5 we travel westwards into the Tyrol for a four night stay at the Hotel Plankenhof in Pill. 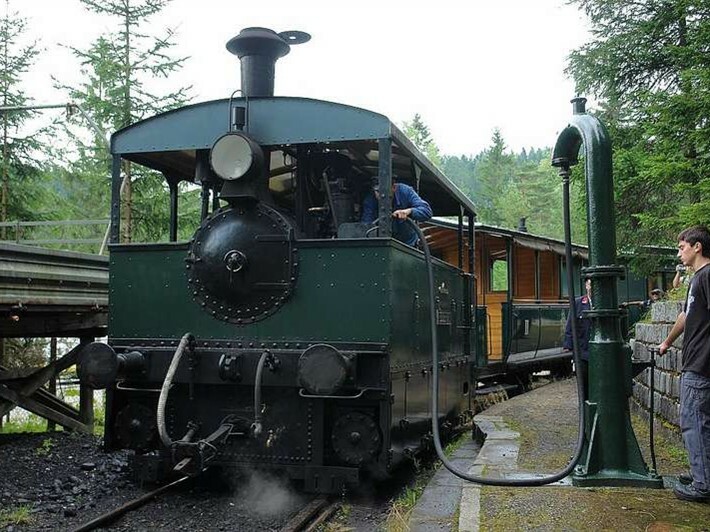 Day 6 heads from Jenbach to Seespitz on Austria's oldest steam-hauled cog railway, the Achenseebahn, dating from 1889. From Seespitz we enjoy a cruise on the Tyrol's largest lake, Achensee, before returning downhill by steam to Jenbach. This evening we enjoy a tour and tasting at our hotel's in-house schnapps museum! 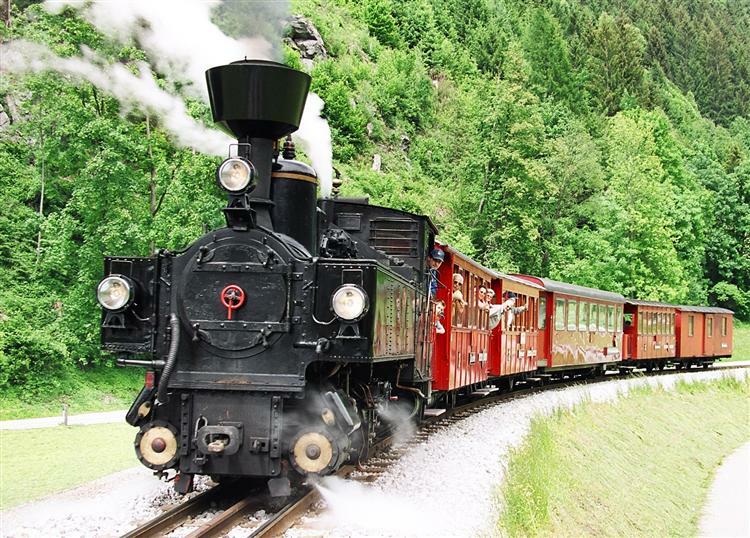 Our next steam adventure on day 7 heads the opposite direction from Jenbach on the Zillertalbahn to Mayrhofen at the head of the valley. 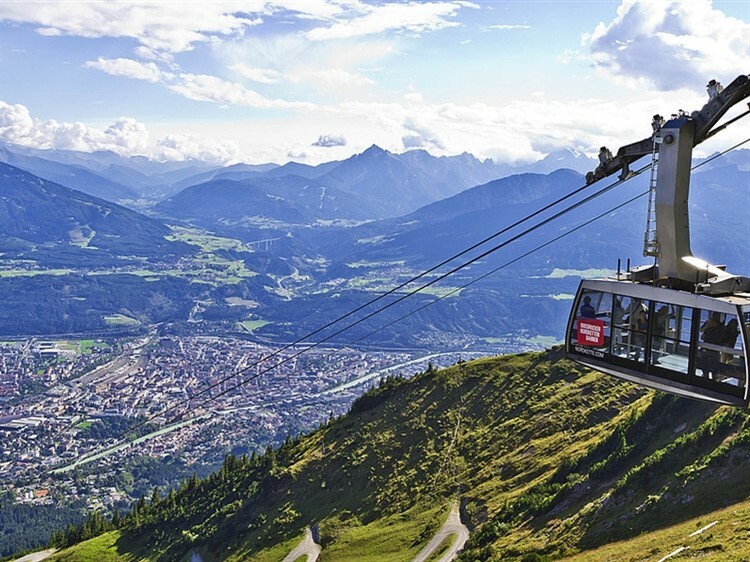 Day 8 features a visit to Innsbruck, the capital city of the Tyrol. 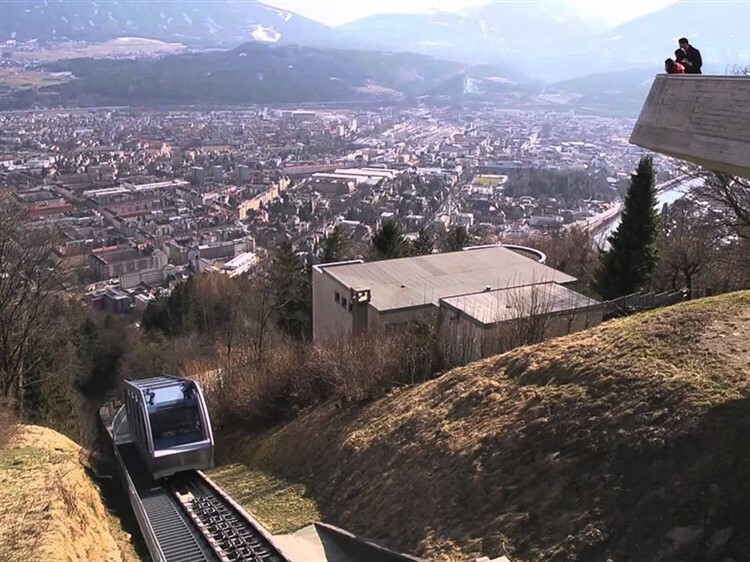 After viewing the Golden Roof and cityscape shrouded in the stunning backdrop of the Austrian Alps, we include a return trip on the Nordkettenbahn, an extraordinary rail adventure leading from city centre to high mountain. 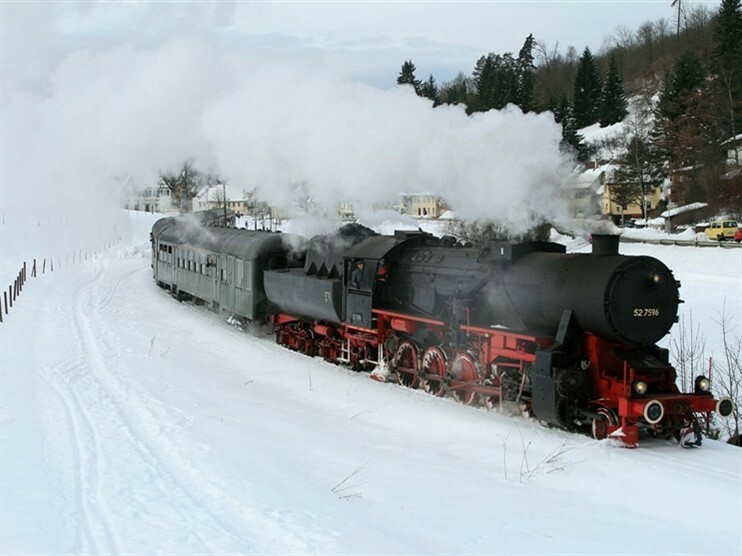 We head eastwards through Austria on day 9 to the city of St Pölten for two nights at the Hotel Metropol, positioning ourselves for day 10's steam adventure, a rare steam-hauled excursion on the Mariazellerbahn. 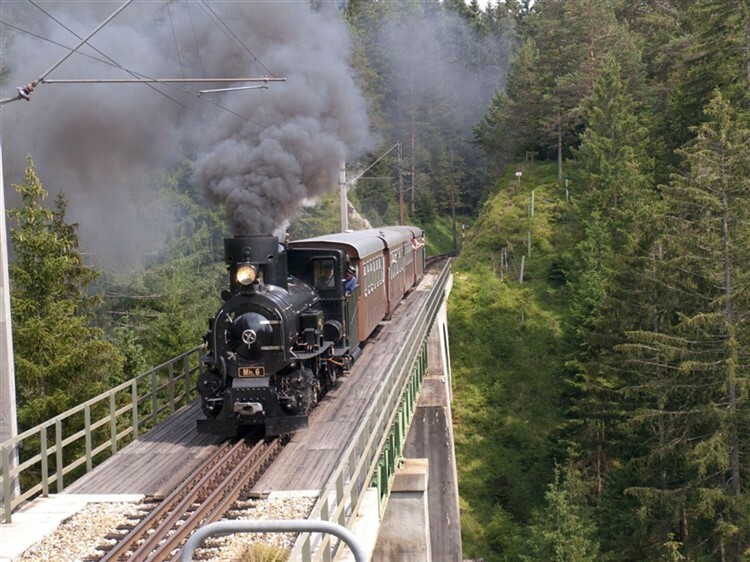 This narrow-gauge line travels through one of Austria's most remote regions through the Pielach Valley, which gets ever narrower as we continue our ascent, using horseshoe curves, bridges, tunnels and viaducts to climb to Mariazell, a pilgrimage destination dominated by its basilica. 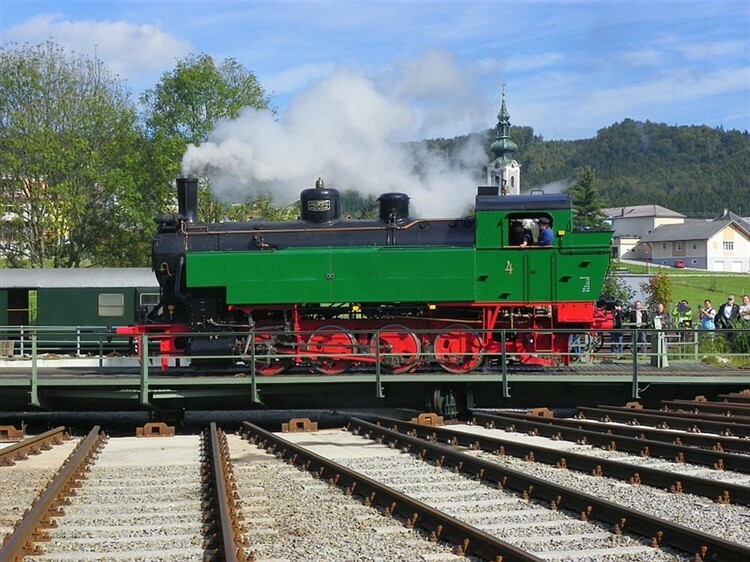 In Mariazell we also include a ride on the Mariazell Steam Tramway. Our journey home begins with a scenic trip into Bavaria. Changing in Munich onto the high speed line, we arrive in Cologne for a final night at the Tryp by Wyndham Hotel Cologne. For our farewell dinner we have chosen one of the popular and homely Cologne Brewery Taverns. Concluding our memorable holiday as we return by rail from Cologne to Brussels and Eurostar to London. The 4* Hotel Sonnenhof is a small, family-run hotel on the edge of Timelkam in charming, beautiful green surroundings. With only 16 bedrooms, it means that space on this tour will be strictly limited. We are pleased to return to the hotel we used on our last visit to Austria, the 4* Plankenhof in Pill in the Tyrol. A listed building, the Plankenhof dates back to the 15th century and is in the 11th generation of family ownership. Uniquely, the hotel also houses a Museum of Schnapps! A modern 4* hotel on the edge of St Pöltens Old Town and pedestrian area.